Time for making your gifts this year is getting down to the wire, but don’t be disappointed if you find that you are out of time. 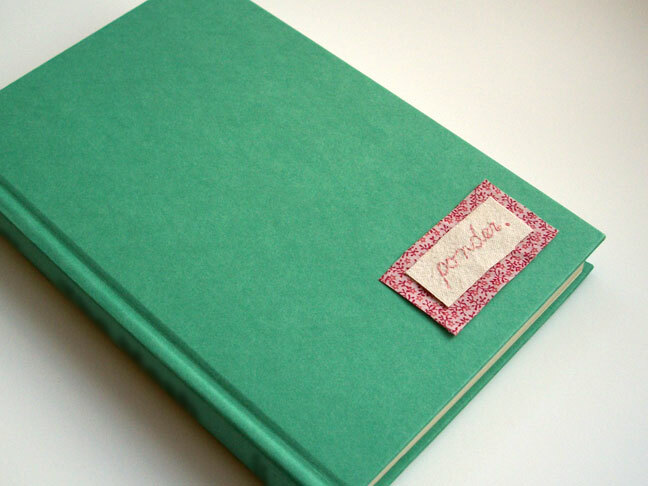 Try adding a pinch of handmade love to a store bought item, such as a journal. Customizing a journal takes less than 30 minutes and can even help clear out your scrap fabric drawer. On one piece of scrap fabric, write in pencil, a word or phrase that inspires or has meaning to the recipient. Use a needle and thread to embroider over the writing. 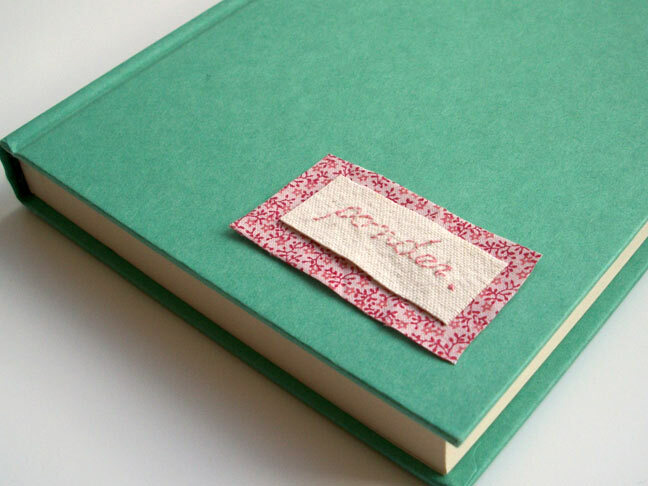 Cut a piece of contrasting fabric and glue both the embroidered piece and contrasting piece onto the journal. This is one unique option to incorporate a little bit of handmade into your store bought gifts. Sara Lanan is author of up and coming craft blog, Craft Snob, where you can keep up with the latest pretty crafts for pretty crafters. Once an engineer by profession, she has turned stay-at-home-mom to make the most of precious moments with her two small children. Sara gives credit to her mom for initiating her into the world of crafts as a little girl.